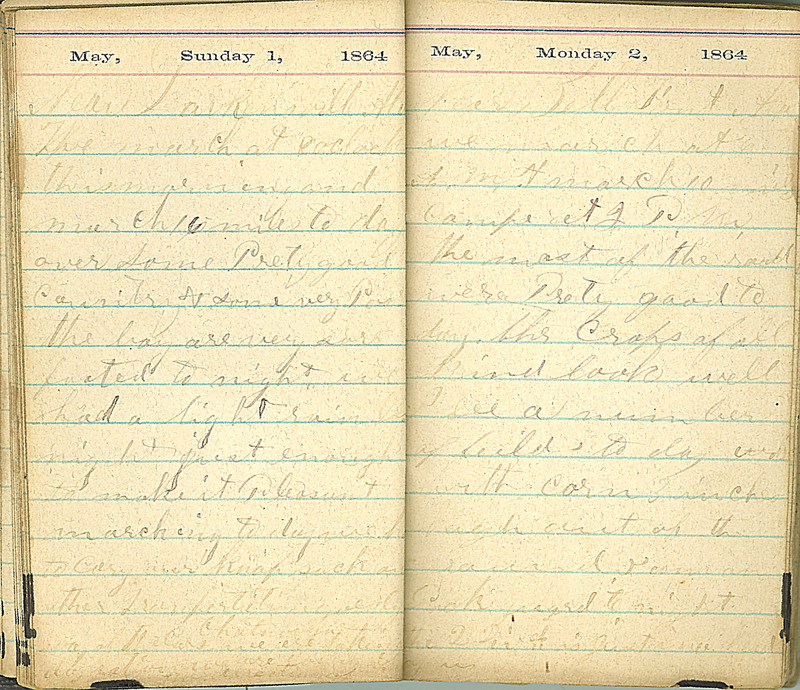 May, Sunday 1, 1864 Near Larkinsville Ala We march at 8 oclock this morning and march 16 miles to day over some Prety good Country & some very Poor the boy are very sore footed to night, we had a light rain last night, just enough to make it Pleasant marching to day we h[ad?] to Cary our knap sacks an[d?] other Transportation [?